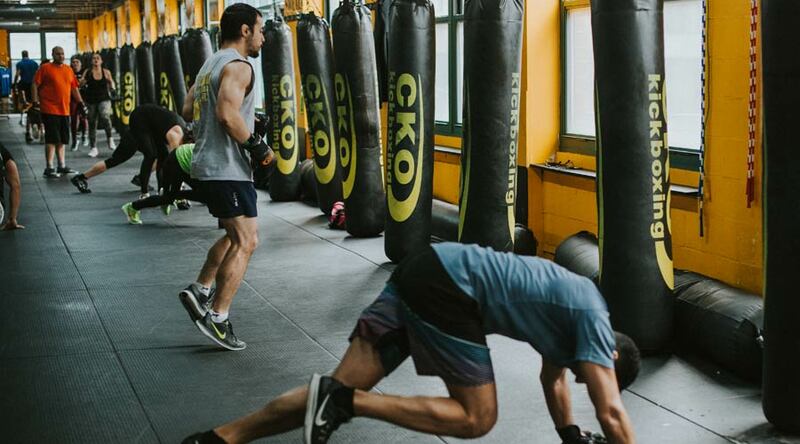 CKO Staten Island cardio kickboxing workout is the number one fat-burning, high-energy exercise, with up to 1,200 calories burned during a one-hour class. Since our group fitness classes are for both beginner and advanced levels, each member can work out at their own pace. Our group workouts are the perfect way to stay engaged and motivated throughout your fitness journey. We pride ourselves on creating a positive community comprised of driven individuals that share one common goal: hitting real heavy bags. Group exercise classes in Staten Island and the surrounding areas of Westerleigh, , and are effective at creating a support system and accountability. Don’t go it alone at a traditional gym. Our trained instructors can help you reach goals in a fun way that makes our group kickboxing classes addictive! 3 Classes & Gloves $19.99 Burn calories with our unique one-hour fitness kickboxing classes.